Being about half a decade away from being designated as a senior citizen, I wonder if I will see at time in my driving career where the vehicles on the road are even a 50 – 50 mix of autonomous and human drivers. There is no doubt that technology is entering some part of our transportation system regularly. If you are interested, Traffic Technology International and Vision Zero International are two digital magazines that explain the cutting edge of these technologies. 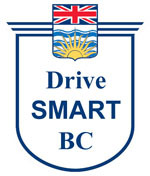 DriveSmartBC is often mistaken for ICBC, particularly with the Drive Smart Refresher test currently being publicized. I hope you would like feedback about your on-line Drive Smart Test. I am a woman aged 69, driving since I turned 16. Things have changed so I thought this test would be a good refresher. Unfortunately I feel the real challenges were not addressed. I have been giving this some consideration for some time now. A TV campaign similar to what the the Olympics did to teach us about the different sports. Eg. One teaching module a month stick man / car driving situation explained. It’s a pretty good idea and probably easier to create than the old RoadSense Tips videos. With the greatest of respect, you are a typical Canadian nanny-state cop (ex-cop in your case). Your writing frequently annoys me by waffling on about “excess speeding” when in numerous cases I find the speed limits here in BC ridiculously low. Why don’t the road engineers post the limits at the 85th percentile of traffic speeds? THAT is what people drive at anyway, so why post speeds that people will ignore? This makes a mockery of posted limits. I could go on and on about how the police here often target the wrong people, merely because they are the easiest to catch and ticket, rather than those that make the majority frustrated and angry, which then turns THEM into dangerous drivers as a result. These two views are probably the most often repeated. To give this gentleman even more ammunition, I’m going to observe that many people are quite happy to express a viewpoint but seldom back it up with anything other than emotion. Most have no idea what the police issue tickets for, but perhaps know what they receive tickets for and don’t appreciate. Be the first to comment on "DriveSmart BC – In The Crosshairs"